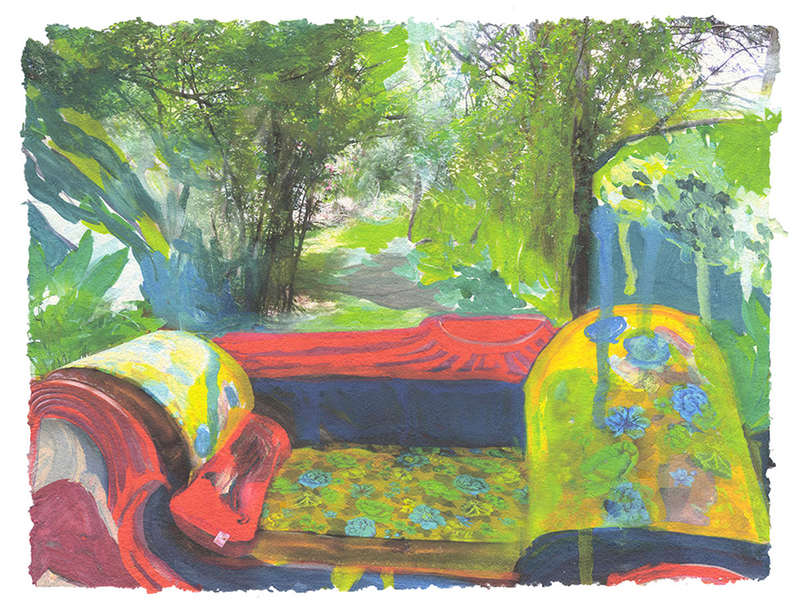 The Fleeting Gardens series consists of digital prints and a video animation. 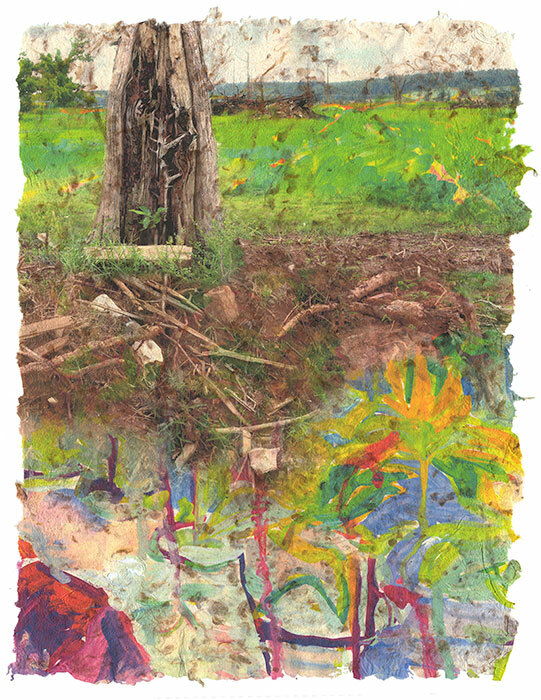 For this work, I photographed small Arkansas farms, rural interiors, and objects. I then painted scenes from the farms. I used digital tools to blend and juxtapose the painting and photography to create the prints and video animations. The prints are made using HP Vivera Pigment-based inks on homegrown and homemade cotton paper.